Outside Magic Kingdom, originally uploaded by Tink*~*~*. 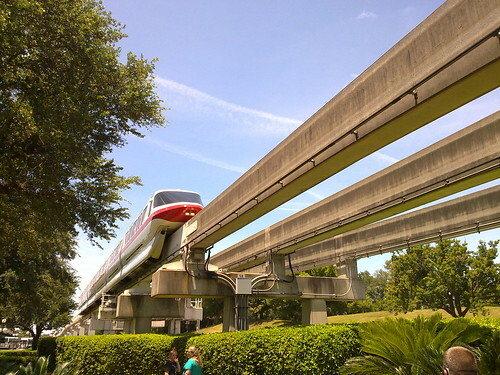 I have always thought it strange that when you just see the monorail’s rails, they don’t look very nice. Yeah, I’m just concentrating on the steel bullet gliding along, making that distinctive gliding-along sound – I don’t see the wires and all till later when I look at the pic.